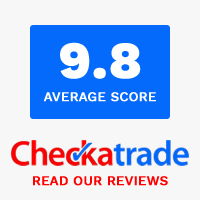 Merton Windows and Doors have been installing double glazing and new windows and doors in West Wickham, Shirley and the surrounding areas for many years. We pride ourselves on our quality products with a high level of service to match. Based in Mitcham, we serve both residential and commercial customers across a number of local counties and fit a range of windows, doors, roof lanterns, conservatories and porches at competitive prices. To ensure our customers get the best service, we are accredited FENSA members and all the products we supply and fit are backed by a comprehensive 10-year guarantee, so you can rest assured safe in the knowledge that your windows will bring you many years of enjoyment. A wide range of glazing: We supply and fit a huge range of double and triple glazed products, from the likes of Pilkington Glass and Kommerling. All products are made to measure to your exact requirements. From box sash windows and casement windows, to uPVC and aluminium windows, our range caters to all types of style and tastes. Energy efficiency: Our double and triple glazed windows offer exceptional thermal efficient and boast market-leading technology. This will save you hundreds of pounds on your fuel bills every year and keep your property comfortable all year-round. Security: Our windows come with state-of-the-art security features including multi-point locking systems and shootbolts to deter even the most determined intruders. Read our blog: Is it time to review your window and door security? Durability: Our windows are durable, robust and strong and we are so confident they will last that we offer a 10-year guarantee on all our installations. An experienced team: Our Managing Director Paul Boyd has over 50 years’ experience in the trade and brings with him a wealth of knowledge. Our installation team will always be polite and courteous in your home and will always tidy up after themselves. They work hard to ensure minimum disruption to your daily life. We are always happy to supply a free quote and scaled drawings, with no obligation to proceed. We can be reached on 0208 542 2233. 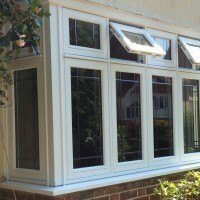 We offer an extensive range of double glazing to suit both your property and your needs. We can help you choose new windows and doors which will transform the look of your home and provide many additional benefits. Whether you are looking for ultra-modern glazing that provides a bright and open feel, or you prefer a traditional look for a home within a conservation area, we can help you choose the right options. If you are unsure about the style and material that will best suit your home and requirements, our team of specialists are always on hand to advise you. 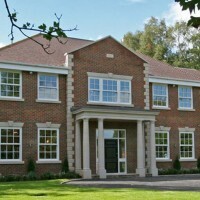 Adds character and style: Having the right type of windows can really transform the look of the home, so whether you need a Residence 9 window for a period property, a vertical slider for a Victoria villa or aluminium casement windows for a contemporary home, new windows can make your home appear fresher and more polished. Energy efficiency: Our double and triple glazed windows will insulate your home, keeping warm air in and cold air out. Ease of use: New windows are easier to clean and practical to use. No more stuck or jammed windows! Noise control: Our double and triple glazed windows will reduce noise pollution and can make the world of difference if you have noisy neighbours or live on a busy road. Value: Replacing old and outdated windows will not only save you money on fuel bills but will add to your home’s total value. 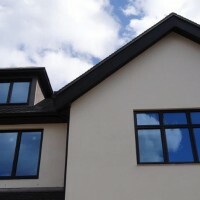 Maintenance free: Most of our replacement windows require little or no maintenance to keep them looking as good as new. 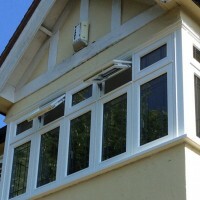 Are you considering replacement sash, timber or aluminium windows in West Wickham? We are the team to call! If you would like to discuss our range of windows and other glazing, please contact us for a free consultation. Our number is 0208 542 2233 or we can be reached by email at [email protected]. Alternatively, fill in an online contact form and we will call you.